TEHRAN (Tasnim) – Iran’s president inaugurated four new phases of the large South Pars gas field in the southern province of Bushehr on Sunday. Accompanied by the minister of oil and other top officials, President Hassan Rouhani inaugurated the phases 13, 22, 23 and 24 of the South Pars gas field. Each of the new phases has a daily capacity of producing 56 million cubic meters of natural gas. In these four phases, 77,000 barrels of gas condensate and 400 tons of sulfur are produced on a daily basis, and 1.5 million tons of liquid gas and one million tons of ethane are also produced per year, officials say. 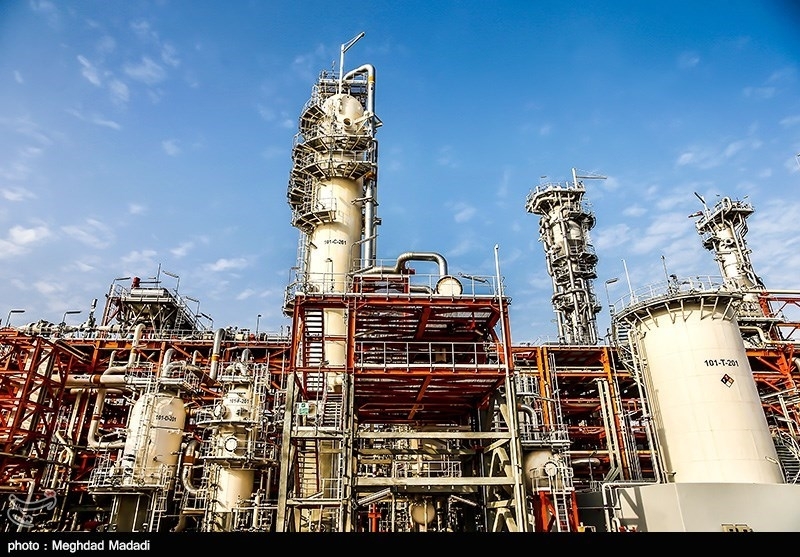 The opening of new gas refinery complexes in the four phases has raised Iran’s gas refinement capacity in the South Pars gas field to 700 million cubic meters a day. Iran’s capacity for daily gas extraction from the joint gas field has now reached 660 million cubic meters. South Pars, whose development has been divided into 28 phases, is located in the Persian Gulf straddling the maritime border between Iran and Qatar. It covers an area of 9,700 square kilometers, of which 3,700 square kilometers belongs to Iran. It is estimated that the Iranian section of the field contains 14 trillion cubic meters of gas and 18 billion barrels of condensates in place.